Although Zillow, Trulia, Realtor.com, yahoo homes etc. all provide cool tools and graphics, HAR.com is Houston’s master listing website. All the other sites are fed by HAR. It’s best to go directly to the source. Active (A) – Home is actively on the market. It’s available to tour and offers can be submitted. This doesn’t mean that there haven’t been any offers submitted; it just means no offers have been accepted. Option Pending (OP) – In the Texas purchase contract, there is a clause which allows a consumer the unrestricted right to terminate the contract. This is also commonly called the option period. The length of the option period is completely negotiable between the buyer and seller. Most often you will find this period lasts between 7-10 days. During this period of time, the status is option pending because the contract is pending on the resolution/expiration of the option period. At this point a contract has been signed and the buyer is in the process of completing their home inspections. Pending (P) – A contract has been signed and the option period has expired; the parties are essentially waiting to close. Sellers are not encouraging back-up showings. Under rare occasions, it might still be able to be shown if a buyer’s Realtor calls the listing agent, but it is extremely rare. Pending continue to show (PS) – A contract has been signed but the seller is still allowing showings for back-up. It does not mean that the contract is any less solid than a property listed as Pending. Unfortunately, this often gives a consumer the idea that the home is still available to be shown when in fact it is not. An appointment has to be approved. As a Realtor, I encourage my clients to only consider homes that are active. This helps buyers concentrate the search on homes that are available. Under certain circumstances where inventory is extremely low, it might be necessary to pursue homes which have contingencies or an option pending. Once again, Har.com is the most accurate website and has the quickest data feed of updated or new information. While it might lack tools some of other sites boost to have, it is more important to have accurate information rather than tools or inaccurate predictions. While Har.com is the best, a Realtor can add value to your search and your purchase by using the tools we have that make the process much easier for our clients. 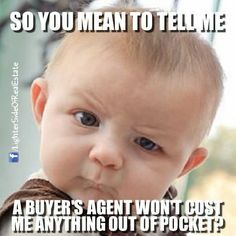 Agents have an allotted amount of time to update a status change after accepting a contract so do not be too surprised if your Realtor calls to set the appointment only to find out it is already sold.